Carausius morosus (the 'common', 'Indian' or 'laboratory' stick insect) is a species of Phasmatodea (phasmid) that is often kept by schools and individuals as pets. Culture stocks originate from an original collection from Tamil Nadu, India. Like the majority of the Phasmatodea, they are nocturnal. Culture stocks are parthenogenetic females that can reproduce without mating. There are no reports of males, although in captivity, gynandromorphs (individuals with both female and male characteristics) are sometimes reared. Females are elongated and about 80–100 mm in length, ranging from a light green to a darkish brown in colour. The front legs have red patches at the base of the forelegs, and similar but yellow patches on the mid-legs. Eggs are ovoid and brown, with a beige plug at one end. When the eggs hatch, the plug opens and dark, tiny, string-like young crawl out of the opening. Bramble (blackberry) is generally considered an appropriate diet for many stick insects. Other options include raspberry, privet, hawthorn, oak, rose, and ivy. Fresh cut branches of these plants can be placed in water in the cage and changed once they dry out. 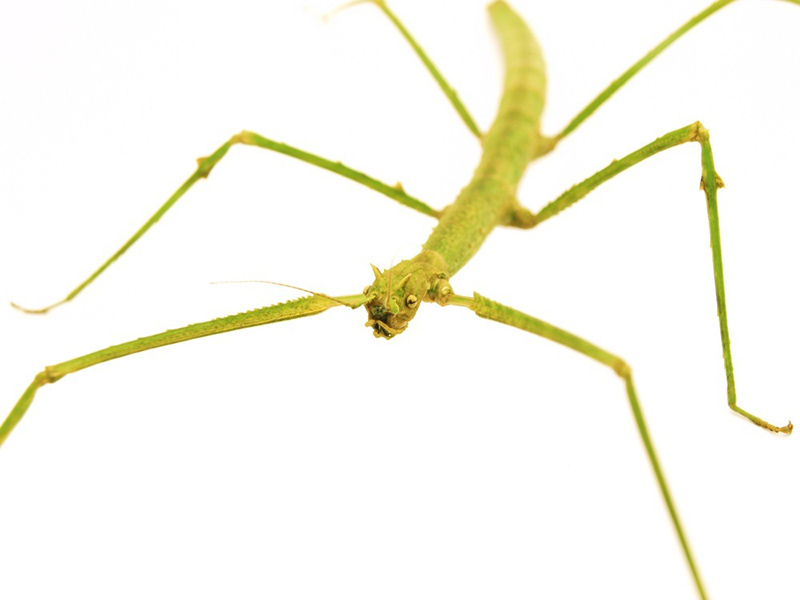 Click HERE for a Indian Stick Insect care sheet.